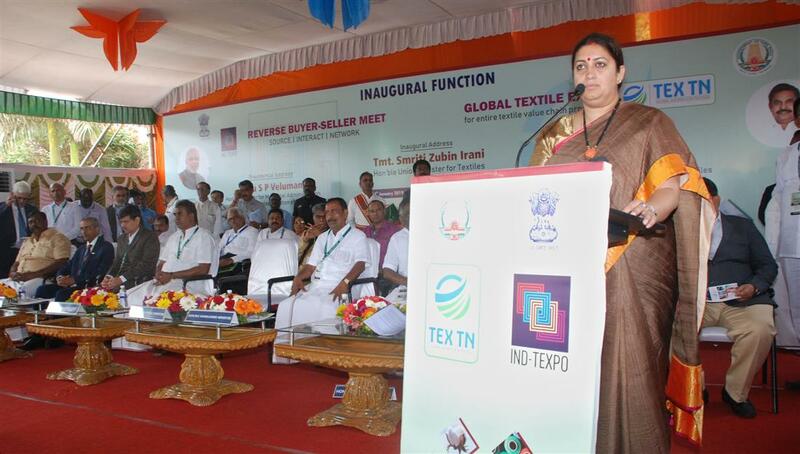 New Delhi: Ministry of Textiles will hold National Conclave on Technical Textiles on 29th January 2019 in Mumbai. The event will also be a curtain raiser for TechnoTex 2019.The conclave will be presided over by the Union Minister of Textiles, Smriti Zubin Irani. Several panel discussions will be held on subjects like administrative consolidation of technical textiles items, manufacturing possibilities and import substitution, benefits of standardization and global best practices, technical textiles codes for New India, investment opportunityin technical textiles sector and research & development in technical textiles by eminent panellists drawn from various Central Government departments, NITI Aayog, IITs and textile industry. As per baseline survey of technical textile industry in India, there are around 2100 units manufacturing technical textiles in the country and most of them areconcentrated in Gujarat followed by Maharashtra and Tamil Nadu. India has 4-5% share in the global technical textiles market size across twelve segments.